Virat Anushka image wherein Anushka being held by Virat is melting the internet. The legendary cricketer publicized an aww-adorable photograph in which he’s seen hugging wifey Anushka. Virat-Anushka is a most celebrated couple who never shy in expressing their love for each other openly. 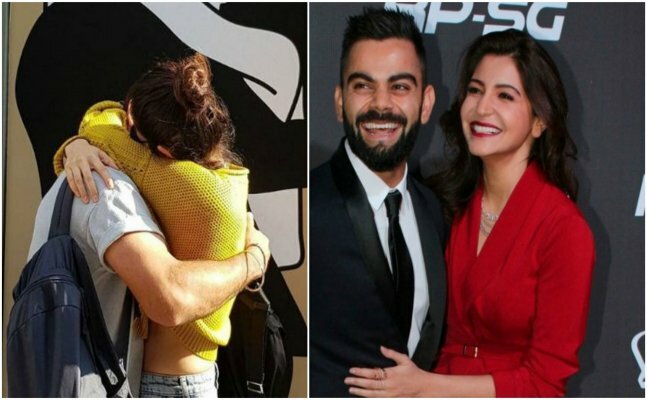 Recently, the star cricketer shared an aww-dorable picture where he’s seen hugging wife Anushka. Isn’t it the most adorable image of celebrity couple ever taken? Though this is not the just photo which is making rounds over the internet, previously also Virat and Anushka's marriage snaps went viral and shook the country.